Just Taylor: January 2014 favourites! Hi guys! I hope all of you are having a very lovely start to the year, and I'm sure most of you (like myself) did a spot of shopping in the January sales! This allowed me to pick up a few things that I hadn't tried before and throughout the month of January I've absolutely loved them! First is the eye make-up that I've been loving throughout the month of January. First is the NAKED2 palette from Urban Decay that I received for Christmas. 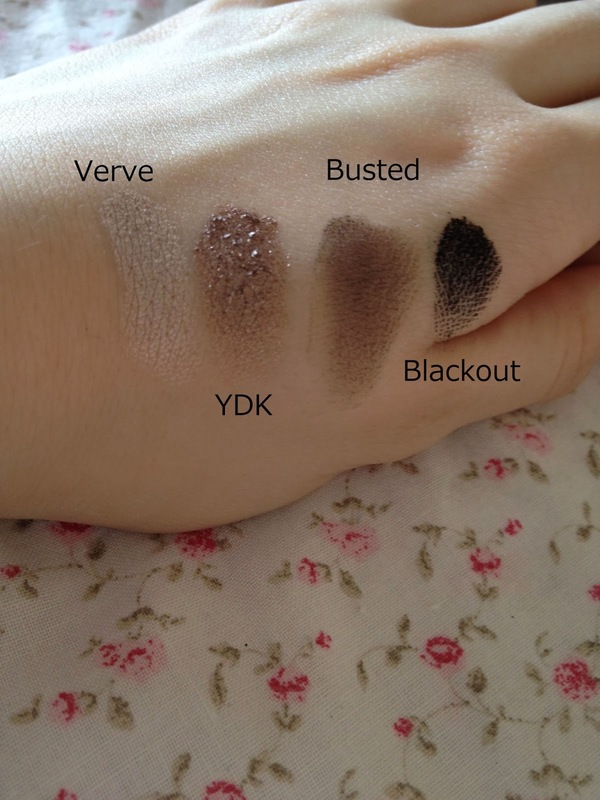 I find with these that they are incredibly pigmented however shadows such as YDK and Half-baked, when I was swatching them onto my hand they crumbled slightly on my hand as you can see in the images above. (This could be due to the amount of shadow that I applied onto my finger). 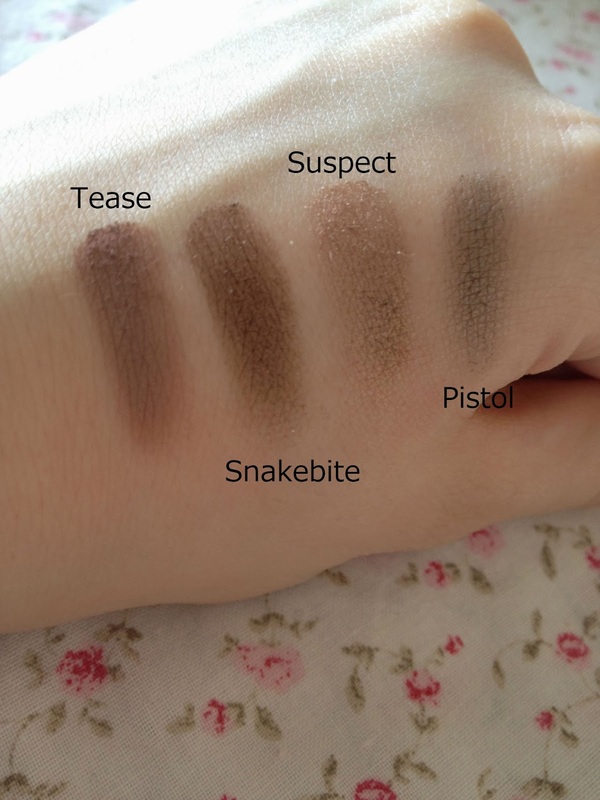 The shades Snakebite and Blackout really stood out to be in terms of pigmentation because they both come out surprisingly true to colour. The mascara that I've been loving in the Maybelline the falsies volum express which everyone has been talking about. I can definitely see why though as it applies a lot of volume and length to my lashes and makes them look amazing, so it's a definite thumbs up from me! 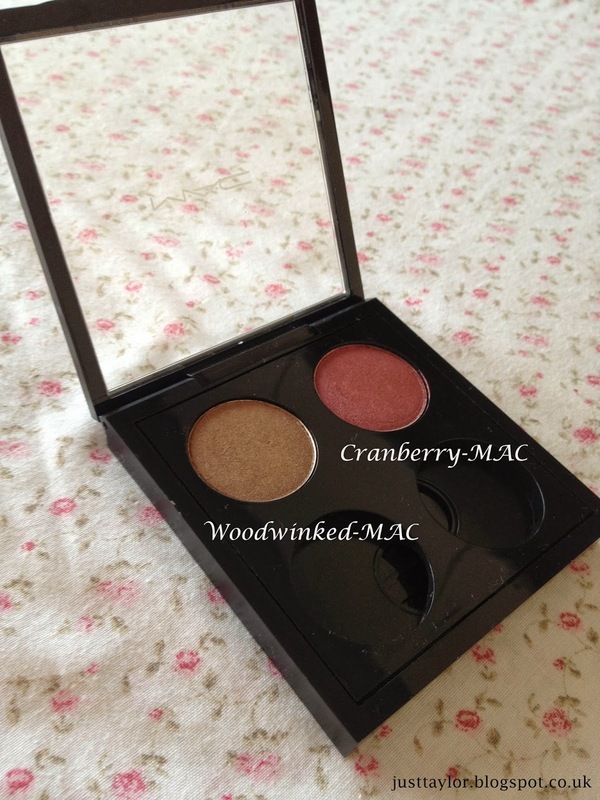 The other eyeshadows that I've been loving are Woodwinked and Cranberry by MAC. I received the shade Wookwinked and the 4x compact from my best friend as a gift for Christmas and I absolutely love it! I would describe it as a shimmery gold/bronze colour as I find when I blend this shade it goes slightly darker at the edges. I bought the shade Cranberry with my own money and I actually really like this colour a lot however I find that I have to build it up because I've found that if I try to put it on and blend it out it goes quite sheer therefore I need to build the colour up. Next is the facial products that I've been loving recently. The first is the Rimmel match perfection foundation which I already did a blogpost on so you can read that here. A few months ago I was talking to my friend about wanting to purchase the Benefit Hoola bronzer but I was unsure and she told me that she had a sample of it at home that she didn't use and that I could try. Since then, I've been using it non stop. 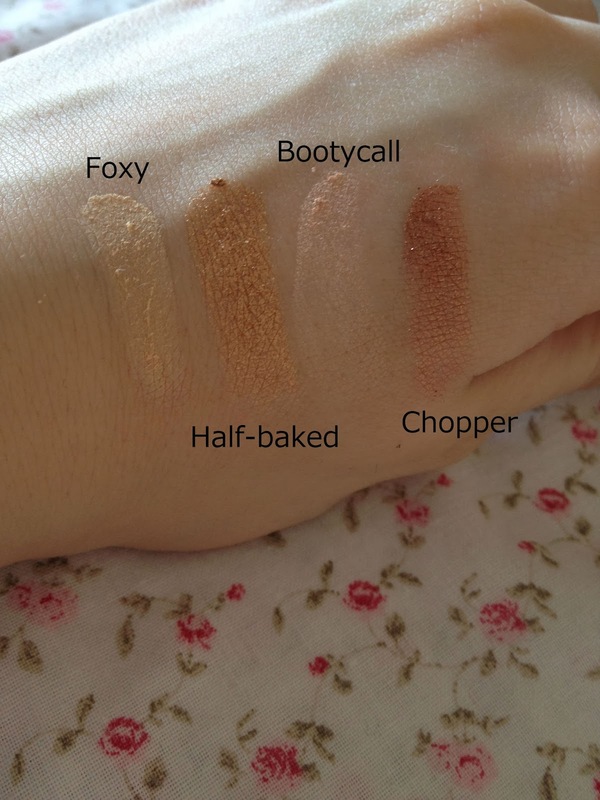 It's the perfect matte bronzer to me, especially on my pale skin. Even when I have some fake tan on it still looks amazing on top of that. I definitely recommend it if you're looking for a good matte bronzer. The last facial product that I've been loving is the Caudalie make-up removing cleanser water. Guys, I literally can't stress enough how good this is. As is it water based, it feels so light on my skin compared to the other cream based make-up removers I've tried that hardly even worked. I just put some on a large cotton pad and swipe it across my face and it removes my make-up brilliantly, not to mention it also smells amazing. Once this is all used up I will definitely be re-purchasing! My last January favourite is the L'oreal Paris #TXT volume supersizing spray. My hair generally has no natural volume at all especially if I've straightened or curled my hair, it just drops and is incredibly flat. However, after watching Zoella's November favourites video and seeing her excellent review on this spray, I decided to give it a whirl. I find that even if I spray a tiny bit into the top of my hair and scrunch it a bit, it adds quite a bit of volume and my hair doesn't look as flat and boring as before I put it in. However, I've also found that if I spray too much of this in my hair (especially at the top) it makes my hair go slightly greasy feeling however it definitely texturises my hair. That's all for my monthly favourites guys, thanks for reading! MAC 4x eyeshadow pro palette- MAC £6.50. Rimmel Match perfection foundation- Boots £6.99. Benefit Hoola bronzer- Boots £23.50. Caudalie make-up removing water- Feelunique.com £14.25 (200ml).